Biffy has recently become alpha of the London pack and is still settling into his role. He isn’t thrilled that he is a werewolf at all and is still finding his footing in his new leadership position. But even though he is smaller than most alphas and has a fondness for fashion and etiquette, Biffy is much stronger than he looks. Randolph Lyall fought alongside Biffy twenty years ago when Biffy was a new wolf. The two shared an attraction and one night together, but responsibilities took Lyall to another pack and it has been a long time since the men were together. Now, Lyall is finally able to return as beta to Biffy’s pack. He would love to rekindle their connection, but Lyall worries that Biffy is no longer interested; for Biffy’s part, he fears the same about Lyall. Things are made more complicated by the sudden appearance of a baby on the pack doorstep — and then more than one. It is going to take both Biffy’s guidance and Lyall’s support for the pack to solve the mystery and stop whoever is behind the actions. Romancing the Werewolf is a Supernatural Society story, set within Gail Carriger’s steampunk Parasol Protectorate series. The book is intended to stand alone within the broader series and be outside the series timeline. It features Biffy and Lyall, two side characters from the main series, and shows how the men end up together. 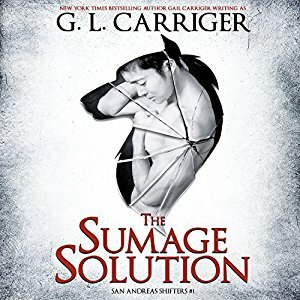 I have not read any of the Parasolverse stories, so this was a bit of a leap in for me, but I really enjoyed Carriger’s Sumage Solution so I was curious to give this one a try. I did do some homework beforehand, reading Carriger’s wiki page for the series, as well as the character pages for both Biffy and Lyall. That helped give me some background for the series as a whole, as well as understand where these guys fit into the bigger picture and get a bit of their backstory. Honesty, I think without that information, I may have been somewhat lost here, but having read it I felt like I could at least follow along with the story with no real trouble. As I said, this is a side story to the main series and my understanding is that it was a chance to give some fan favorite characters their own book. I enjoyed both Biffy and Lyall and found them interesting and endearing. Biffy, in particular, is a bit stuffy and fussy in a way I found kind of adorable. The guys are a really good match with nice balance to their relationship. There are times when Biffy really needs Lyall’s guidance and steady hand; then there are others where we can see Biffy is totally capable of handling things himself. So I liked that the guys are both supportive of one another, but also evenly matched. The prologue sets the stage by showing us the guys getting together for the first time 20 years ago. Then we jump to the present where Biffy is a new alpha and Lyall is returning home. Both men still feel an attraction and would like to pick things back up again where they left off. But neither man believes the other is interested and both are hesitant to speak up about his feelings. This contributed to the romance falling a little flat for me. Aside from the prologue, not much happens romance-wise for most of the book. Yes, the guys notice they find the other attractive, but neither speaks up nor acts on his feelings. There isn’t even much pining and longing, or sizzling chemistry here. Now, I’ll admit, I would possibly feel much differently had I read the other series and been eagerly awaiting this couple. But as a new reader, there just wasn’t much intensity here between the men or in the relationship. They are just sort of rolling along for most of the book until close to the end when they finally speak up. So for a story that is basically written to show these guys getting together, I would have loved more connection and romance developing throughout the book. Much of the middle portion of the story is focused on the mystery of who is leaving these children on their doorstep and why. It is a chance to see the men work together and for Biffy to exert some leadership with Lyall’s assistance. So that part works well and it did keep me interested, although I didn’t find it a high intensity mystery. It does help to set the werewolves up in their larger community, but given that this story is outside the main series, I am not sure if there is long-term significance to how things shake out. Still, it was a nice way to see these guys work together and to show how the bond between them and Lyall’s support end up helping Biffy lead the pack. From a world building sense, I found the larger world Carriger has built here is really fascinating and there is a lot of creatiivty. 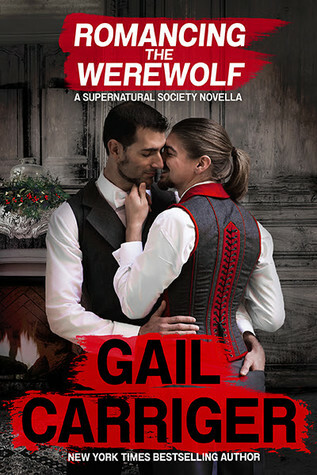 It is a very different take on werewolves than anything I have ever read and I enjoyed the little details built into the story. FWIW, the Parasolverse is a steampunk series, but this story read much more like historical/paranormal than anything steampunk. In fact, other than a passing reference to a dirigible, I didn’t really note anything that conveyed steampunk in the book. That wasn’t a problem for me, but be aware if that is what you looking for here. Overall I did enjoy this one and I like Carriger’s writing. I am glad I got a chance to get a tiny glimpse into her Parasol Protectorate world as I have heard great things about the series and it definitely is fascinating. 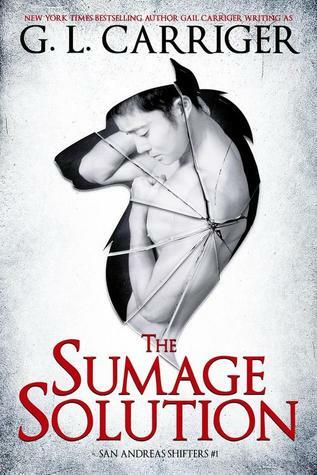 I think this particular story didn’t grab me as much as it might have had I been more familiar with the characters and the world, but I do think Carriger has created something really interesting here with her overall series.